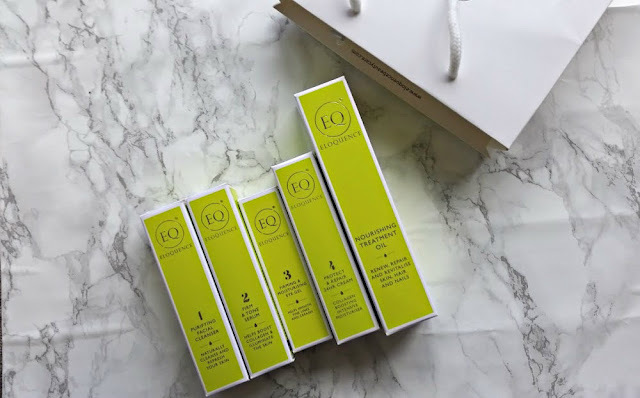 For the past few weeks, I have been trialing some gorgeous skincare from Eloquence. I am very hesitant about what I try on my skin and have brands that I trust, all because I am acne prone and sensitive. When it comes to Eloquence, I was partly hesitant. 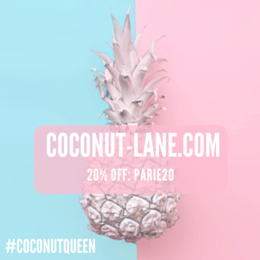 They are a brand that invest time in making sure all their products are the best quality and made from all natural ingredients. They have the finest of ingredients in their products, one been Sachi Inchi Oil, a unique blend of Omega 3 to restore the skins elasticity. 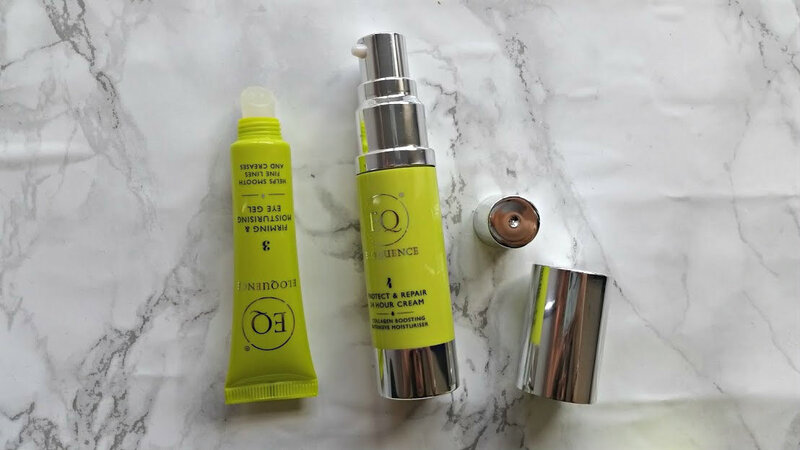 Omega 6 to fight dehydration and Omega 9 to help with signs of ageing. You can read more about the brand and their vision here. All of this works together to give you skincare products that your skin likes and contains nothing harsh or unnatural. My skin and the way these products work on it, will be completely different to how it work on your skin - just a caution. This set is a 4 step system but no product has been created for you to use to the t, I like to use 1 and 2 in the morning and then 3 and 4 in the evening. A cleanser that can be used both morning and night, I have been using this only in the morning to refresh and wake up my skin. It smells of the cucumber and coconut extracts inside and is very gentle on the skin. A pea sized amount goes a long way and gives the skin a glow. Serum is something I never knew exactly how to use, with my skin type been acne prone I like not to pile loads of things on top of each other. The serum can also be used both night and day, but I now only use it in the morning. This is because it is another glow enhancing product due to the hyaluronic acid and coconut oil that it contains. Using both of these in the morning has given my skin a brighter look and fresher feel. A simple two step morning routine. Now on to the things I have been using in the evening. 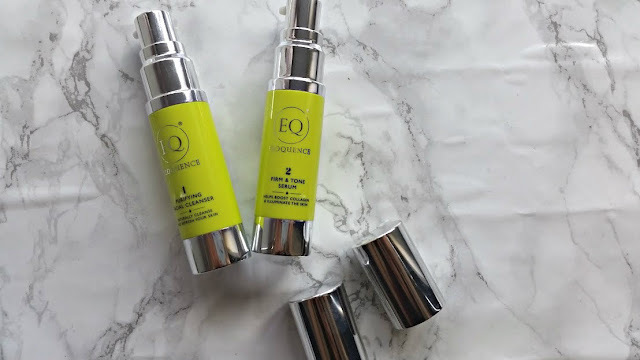 Eye creams and gels have never been something I have used, until now. This one has converted me. 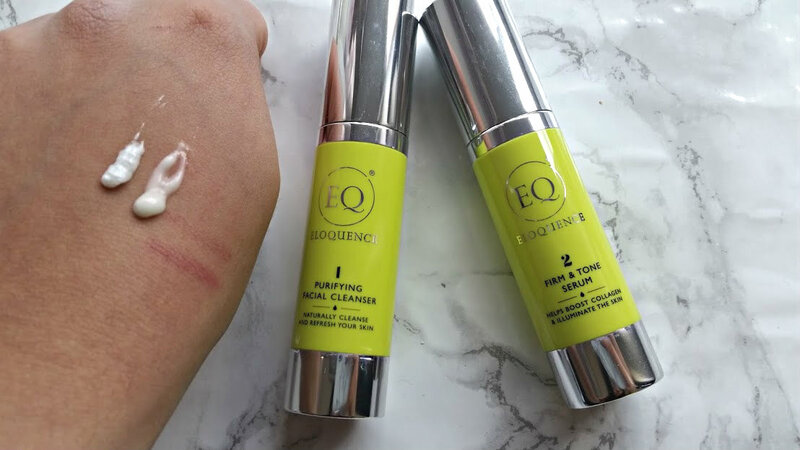 It has a squeezy tube applicator that allows you to apply the tiniest amount of gel. I use the applicator to spread out the gel around my eye and let it sit for around 5 minutes. It is nourishing and has helped with the puffiness around my eyes. I am always forgetting to moisturise my skin and never thought that a cream so light and creamy would do the job. This makes a great cream to apply both in the morning and evening, it has a slight shimmer running through which makes it great to mix or wear under your foundation. I mixed a little with the L'Oreal True Match the other day and created a almost BB Cream and light coverage base. 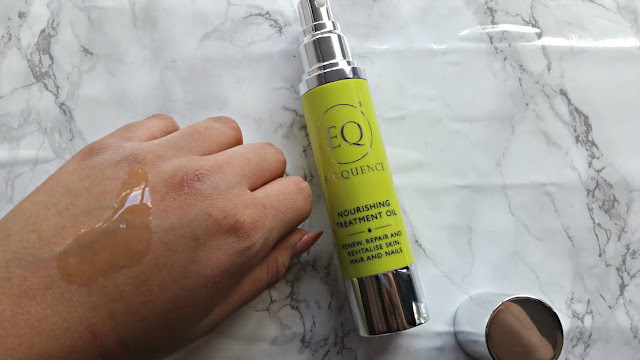 This is a versatile oil that can be used on your hair, skin and nails. Products like this makes life easier on the go and when its filled with goodness from coconut and sweet almond oil, why wouldn't you want to apply it everywhere? I have been applying this on a night to my cuticles as they are a state and also to my elbows which are always dry - such a pain. I have also used this weekly on my skin to help with the dryness from spot treatments and as an alternative to mosturiser sometimes too. If you aren't sold by the brand after reading all of this, then you need to give it a try yourself. Buying the products individually, comes to £92.95. Whereas the Pure Luxury Collection costs you only £75.00 saving you nearly 20! A few pounds makes such a difference. 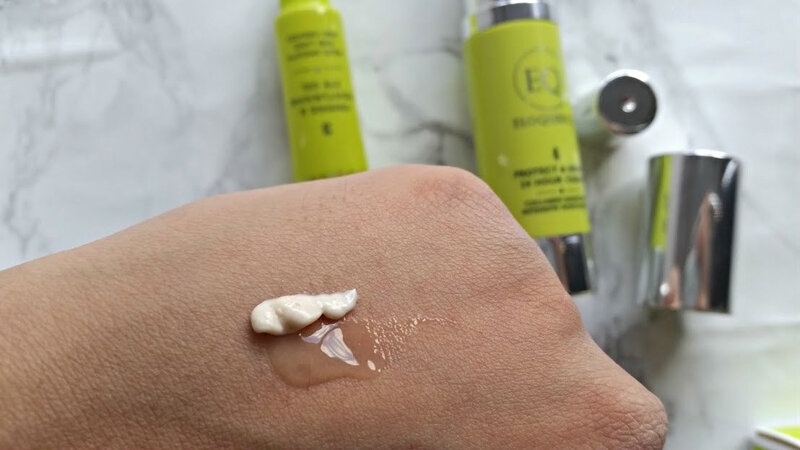 All the products are amazing and my favourite has to be the eye gel - simple and easy to use!